« ALERT!! Please support the Animal Alliance of Canada in their efforts to stop the Ontario Spring Bear Hunt. 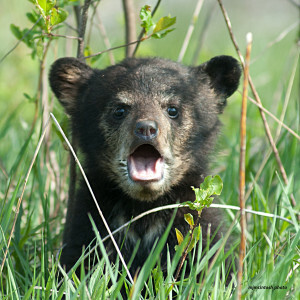 Thanks to all of you who have written letters and signed petitions opposing the Spring Bear Hunt in Ontario. Although the Liberal government seems determined to go ahead, our collective efforts are getting a lot of attention and have encouraged us to continue this fight. Animal Alliance of Canada, along with Zoocheck Canada, are taking the Province to court over the partial reintroduction of the spring bear hunt. On Monday the Minister of Natural Resources and Attorney General of Ontario were served with a Notice of Application for Judicial Review and the Attorney General of Canada was served with a Notice of Constitutional Question on behalf of the two organizations. David Estrin, a certified environmental law specialist with Gowlings LLP in Toronto, Michael Watson, a Gowlings civil litigation partner and Brent Arnold, another Gowlings litigator, are our lawyers. Three Justices of the Ontario Divisional Court are scheduled to hear the application April 29, 2014 in Toronto. Gowlings is very generously working pro bono, but Animal Alliance will have to cover other costs. So if you wish to help out by donating to its legal action, please feel free to do so at the address below. We’ve heard from some very passionate people over these past few weeks. We feel so fortunate to have such an outpouring of support – for the bears.